YOUR PREMIUM FACADE KEEPS OUR PROMISES. Every GIG facade solution is the result of the systematic examination of the actual object according to stringent standards. 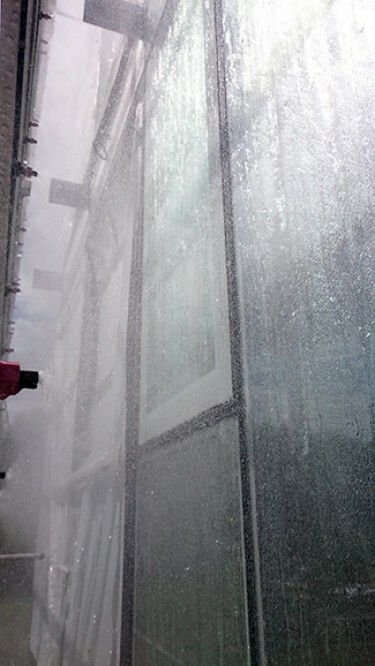 On our two facade test stands, which were specially developed for the company, prototypes and model facades are checked with regard to their air permeability, imperviousness in the case of heavy rain, and resistance to wind loads and impacts. Testing according to the BS, EN or CWCT standards are carried out by independent institutes and the complete results are exactly documented in reports, as GIG attaches the greatest priority to genuine transparency.